This drive is divided into two parts. First, you’ll see a bit of US 97 south of Bend, before turning off to the Lava Cast Forest in the Newberry National Volcanic Monument. 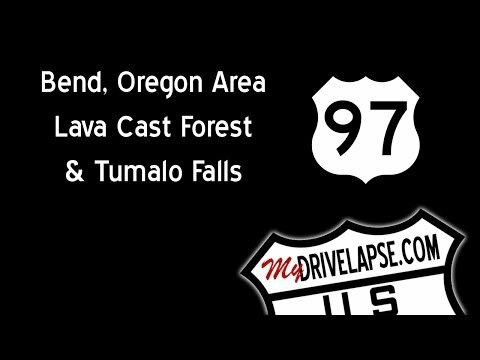 The second clip picks up the drive on US 97 again, at the turnoff to Lava Cast Forest, and then continues north, into and through Bend, and out to Tumalo Falls.